Oktoberfest attendees learn how to dance the polka. 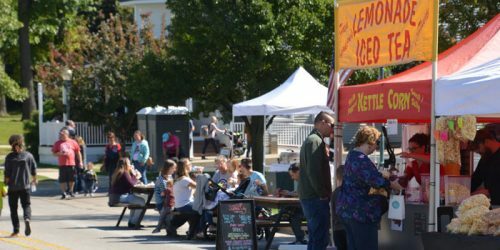 WINONA LAKE — The weather was comfortable and fall-like for the Village at Winona’s Oktoberfest celebration today, Sept. 29. Festivities for all ages took place throughout the day, starting with a Porsche car show at 11 a.m. Approximately 25 Porsches were on display on East Canal Street. 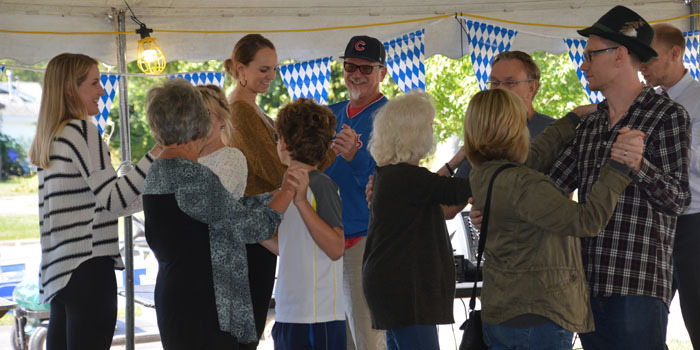 Attendees also got the opportunity to participate in several German-themed activities, including a homemade streusel contest and polka dancing lessons. Fred Astaire Dance Studio in Fort Wayne taught locals how to dance the polka with a simple format that any participant, be they new or more experienced to dancing, could understand. Kids also got to enjoy making fall-themed crafts, hosted by Spoonful of Imagination Art Studio. Kettle corn, lemonade iced tea, and turkey legs were also available for Oktoberfest goers to purchase and enjoy. The annual Oktoberfest Hash Ride and Run, hosted by The Garden At Winona and Winona Bike Works, started at 5 p.m. Participants rode bikes, ran, and walked the Winona trails and greenway, all while enjoying a free beer from The Garden with each lap completed. The festivities ended with live music at The Garden starting at 6:30 p.m. 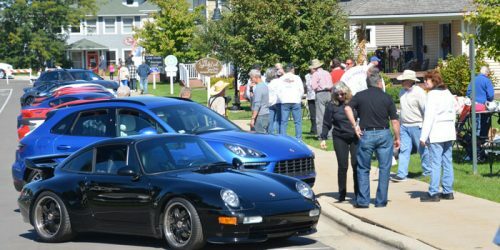 Approximately 25 Porsches were on display during Oktoberfest. Kettle corn, lemonade iced tea, and turkey legs were available for attendees to purchase and enjoy.